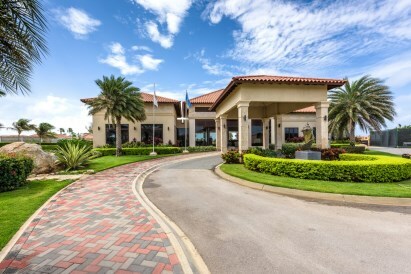 Gold Coast - Diamante 98. 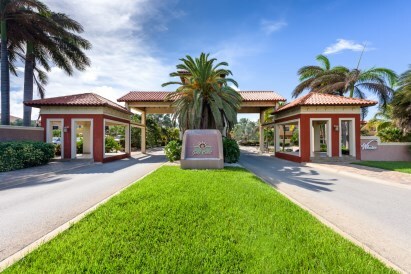 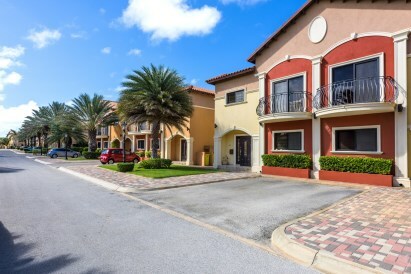 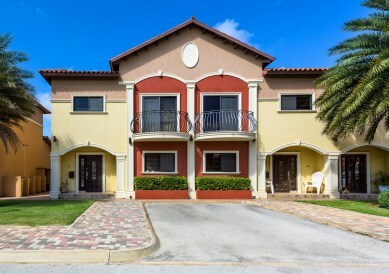 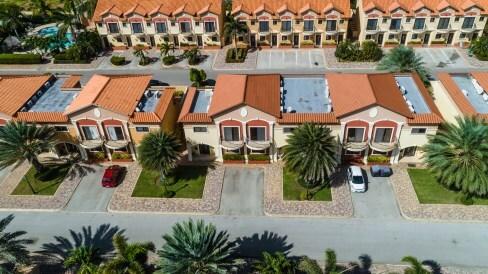 JUST REDUCED WITH $10.000 Charming 2-story townhouse in the famous gated community Gold Coast. 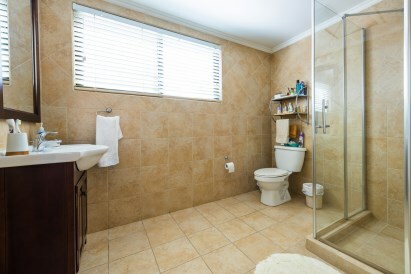 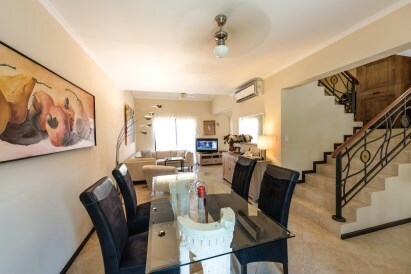 This 135 SQM townhouse is built on property land and is the largest townhouse type in Gold Coast. 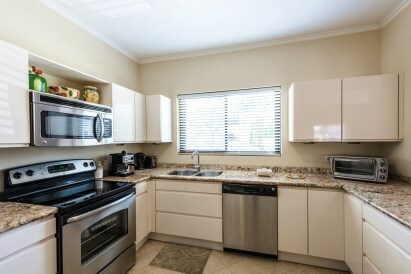 It features 2 bedrooms, 3 bathrooms, large back patio and comes fully furnished. 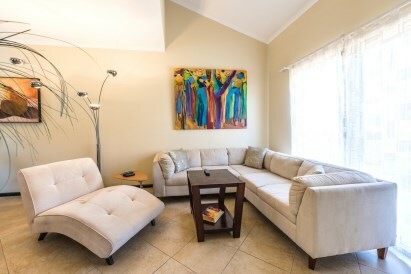 The living room with high ceiling provides a very spacious feeling unlike other townhouses. 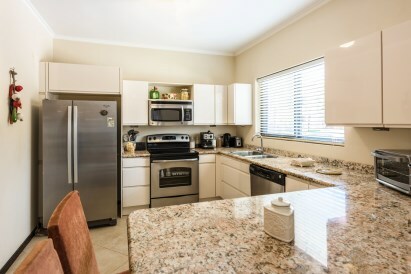 Kitchen has a nice modern look and is fully equipped with a refrigerator, dishwasher, stove, breakfast bar and granite countertop. 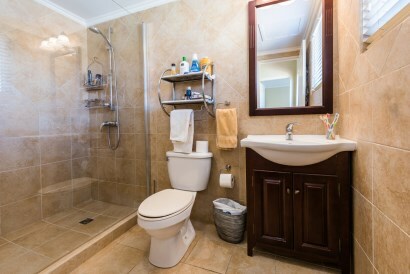 There is full bathroom downstairs perfect for guests. 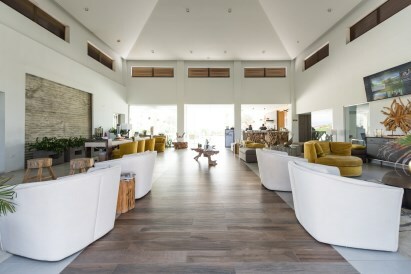 The glass sliding door by the living room opens right into the large paved patio. 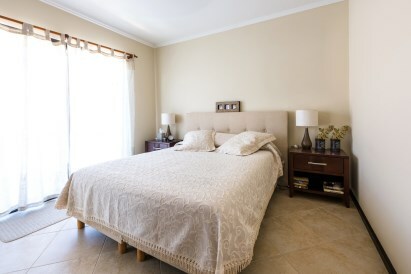 On the second floor you will find 2 spacious bedrooms and 2 bathrooms. 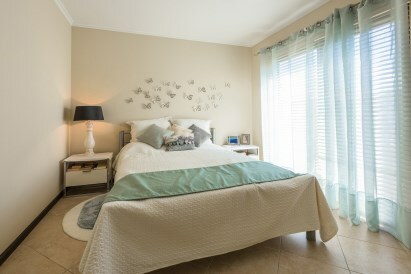 The Master Bedroom has a walk-in-closet and its ensuite bathroom. 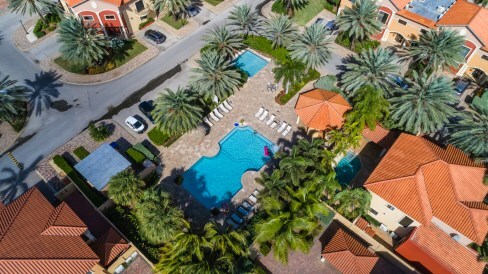 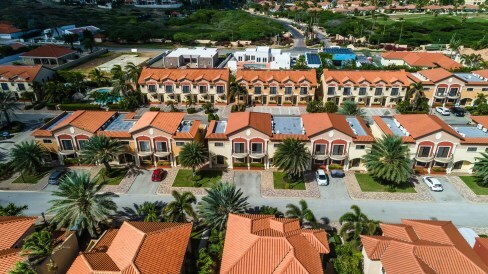 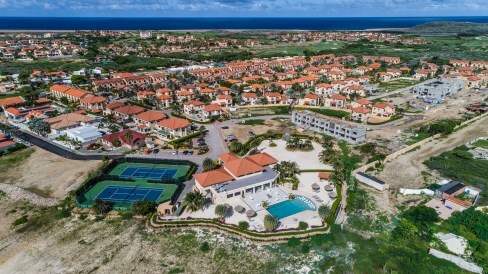 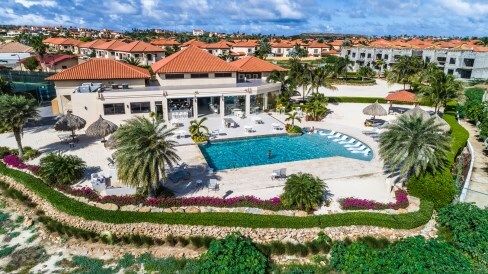 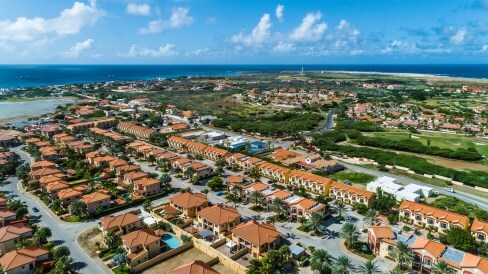 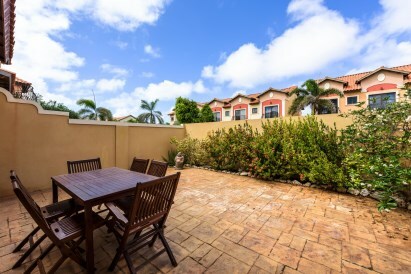 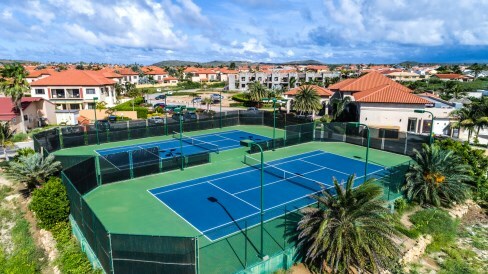 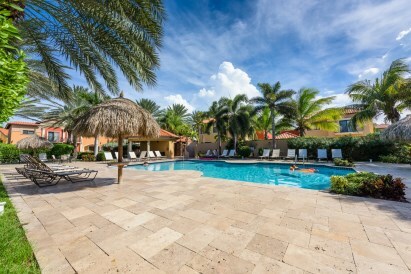 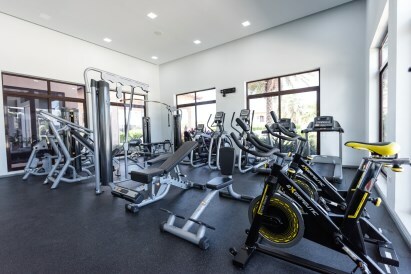 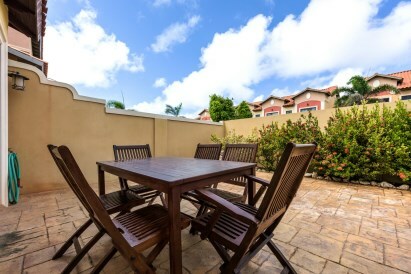 Located in one of the most attractive areas of Aruba; close to the most beautiful beaches, shopping, dining and entertainment areas.